Through a public records request, San Jose State University police have released video from a 2014 deadly police shooting of a 38-year-old Antonio Guzman Lopez. Marianne Favro reports. 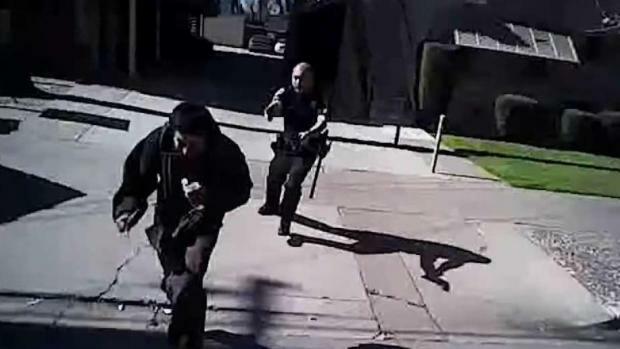 Through a public records request, San Jose State University police have released video from a 2014 deadly police shooting of a 38-year-old Antonio Guzman Lopez, the Mercury News first reported. 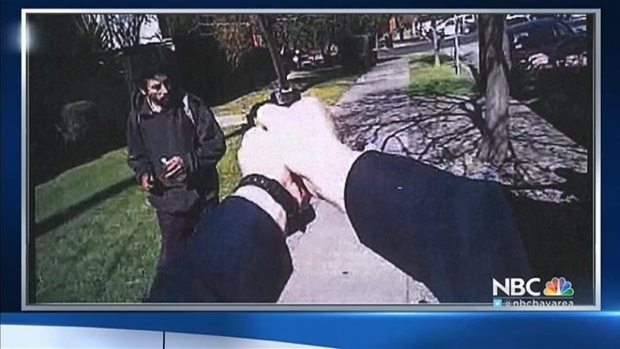 While the incident happened over five years ago, the public has never seen the bodycam evidence which played a role in the Santa Clara County District Attorney's decision to not charge San Jose State University police officers who shot and killed Lopez. The District Attorney's Office said Sgt. Mike Santos and Officer Frits Van der Hoek responded to a report of a man, later identified as Lopez, who waving a knife at South Eighth and East San Salvador streets just outside the SJSJ campus on Feb. 21, 2014. Based on reports from officers and witnesses, Lopez was acting strange, suggesting he was mentally unstable or under the influence of drugs. Through a public records request, San Jose State University police have released video from a 2014 deadly police shooting of 38-year-old Antonio Guzman Lopez. Favro reports. 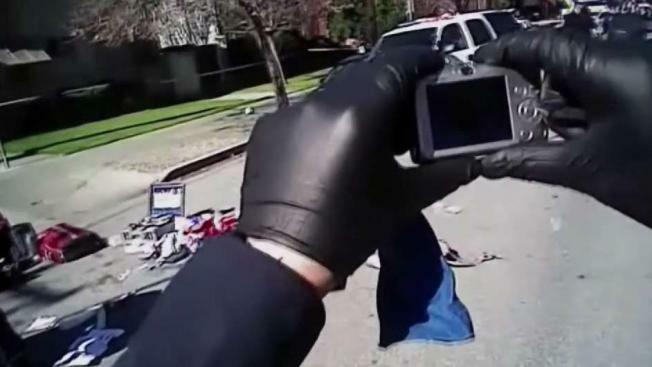 When officers ordered him to drop his weapon, he refused, appeared to run towards or away from the officers and police shot him, the police bodycam footage showed. Laurie Valdez, Lopez's wife, said she was "devastated by the fact that [the District Attorney's Office] claimed that what the officers did was justified." The released footage showed Van der Hoek used his taser stun gun on Lopez, before he attempted to run but he was not affected by the shock. Santos shot Lopez twice in the back and one of the bullets went through his body and into a window at a nearby sorority house, where no one was injured, according to the DA's report. Lopez was transported to a hospital were he was later pronounced dead. An autopsy determined Lopez had methamphetamine in his system at the time of his death, prosecutors said. The partner of a man shot and killed by SJSU police spoke out against the district attorney's decision to not charge the officers involved in his death. Robert Handa reports. Per protocol, the District Attorney's Office reviews all officer-involved shootings, but it found Van der Hoek was previously a legal clerk with the office. The case was referred to the state Attorney General's Office, which determined an independent review was not needed, and the San Mateo County District Attorney's Office, which also concluded that the Santos was acting lawfully by shooting at Lopez. The newly released footage will now allow the public to decide whether Lopez attempted to run away from the officers, or run at them. Richard Konda, executive director of the Asian Law Alliance, previously said "I didn't see [Lopez] make any aggressive move toward any person." SJSU issued a statement Saturday in response to release of the bodycam footage, saying: "The officer’s use of force was deemed legally justifiable in response to an immediate threat that could potentially result in great harm or death. In addition, in response to a civil lawsuit filed against SJSU, two federal courts ruled that the use of force was reasonable and appropriate." Lopez, an undocumented immigrant, had a son, 5-year-old Josiah, and was helping to raise Valdez's daughter, 11-year-old Angelique.